You might be looking forward to the blanket of snow that will cover your lawn in the next few months, but your grass isn’t. If mowed at the wrong height, you might set it up for snow mold and harboring little critters looking for warmth. Find out how to cut grass for winter to optimize its health. 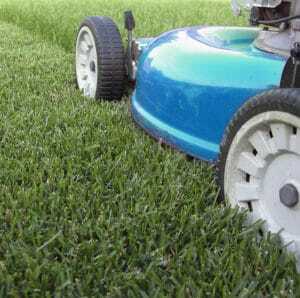 Before you store away your mower for the winter, take it out one last time and cut your lawn to possibly the shortest height you have all season. Finding that “sweet spot” is important. Too low and your grass might not be long enough to photosynthesize and provide essential nutrients to the roots. Too high and frost and it might become a matted mess after heavy snowfall. The ideal height is around 2-1/2″. Your grass might continue to grow after the last cut, and this height gives it a little bit of wiggle room without it becoming unruly in a few weeks. Plus, it won’t become too high and be a safe haven for little critters. Cross these things off your to-do list to prepare your grass for winter. Need Help Winterizing Your Lawn? Green Lawn Fertilizing is your local expert. We know everything your lawn needs to keep it healthy and green, including everything that needs to happen in the fall to keep it safe during the cold of winter. Call us today at 888-581-5296 to set it up for success next spring.